Belated birthday greetings to ladysunrope whose birthday was yesterday. Hope it was a good one!! That is so cute, Paulie! Thanks Jane:) Most of our snow has gone today but, going by the forecasts, I don't think we've seen the last of it!! Aww I've never seen that pic before. Of course I love it!!! Awwwww! What a lovely, lovely card!! Thank you so much!! Those poor hobbits arrived on time, but they were literally freezing, so I placed them before the fire and offered them a hot tea with honey. Half an hour later they were happy and ready to celebrate with me!! 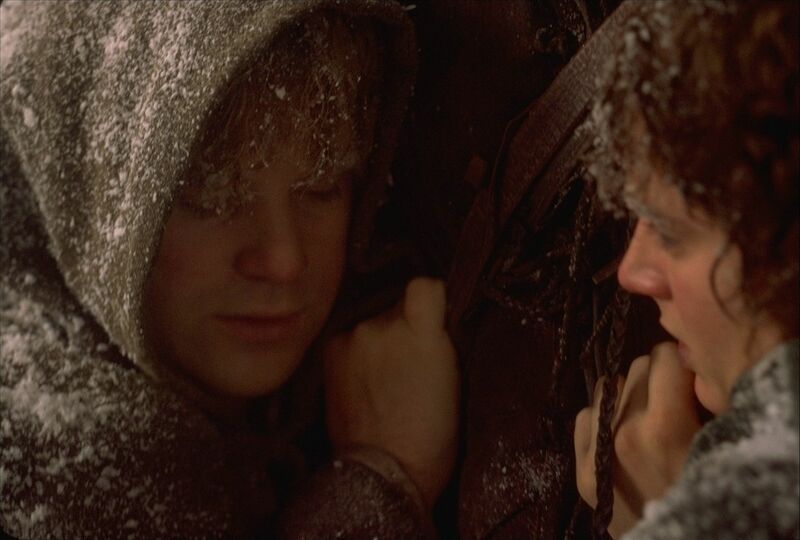 I'm so glad you managed to warm up those cold, little hobbits!! catching up -yet again- thank you for the lovely wishes- it was a good birthday!